Painter Lana Fiala, former galley member, will showcase new works highlighting children, during a special “guest artist exhibit” throughout March at the gallery. 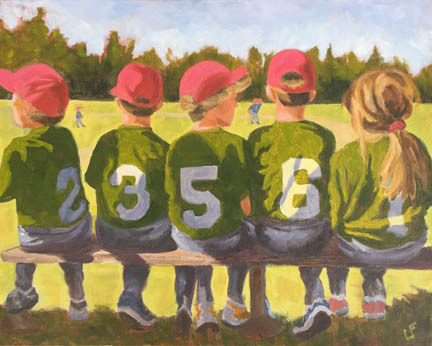 “Young at Heart” features acrylic paintings of children – “Ballet & Baseball ” – and more, by Lana Fiala of Amherst. In 2016, Lana painted her twin boys in action! An opening reception will be held Sunday, March 12 from 1 to 4 p.m.